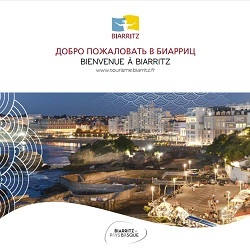 A complete travelogue detailing all of the activities offered in Biarritz and its surroundings, retracing the history of the city and its heritage, and allowing you to discover remarkable places. A must have to select the accommodation that best suits your needs, from a 5-star palace to campsites or guest rooms. An A3 format city map, light, simple and functional, ideal for a first discovery of the city. A foldable and exhaustive plan of the seaside city, very complete with the city’s streets index as well as a very precise and complete legend. 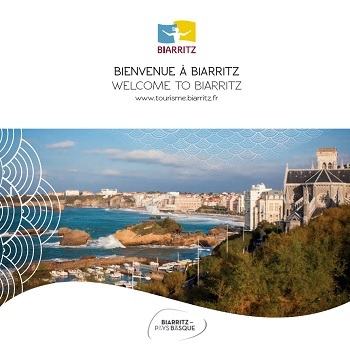 Our selection of the best tables in the city, including all the restaurants in Biarritz. 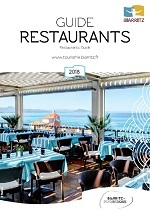 A guide in pocket format, ideal to find the table of your dreams. In pocket format, an essential document for ocean lovers, whether they are surfers, swimmers, walkers or simple beach attendant. 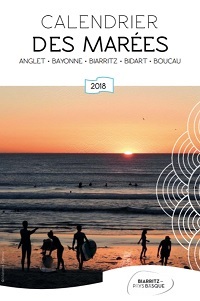 Biarritz, Anglet, Bayonne, Bidart, Boucau: a general plan from Boucau to Bidart, allowing you to find your way at a glance, with a zoom on each city on the back.